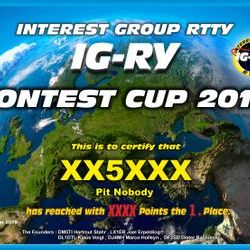 Each member of the Interest Group RTTY may participate in the annual Contest Cup. The contest cup manager will announce a ranking list on a monthly basis. 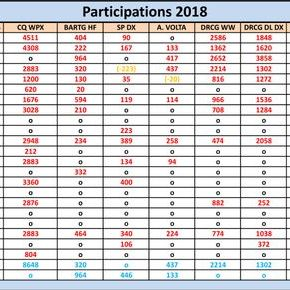 Any member may also be informed of the current status of the placements on this website. After the last contest of the year, the final result will be announced. 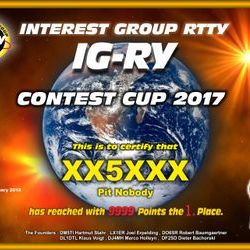 Only contests where the RTTY mode is used and only RTTY QSO are accepted. 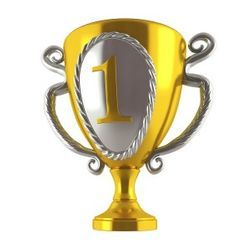 Every year will be presented a Cup for the 1st, 2nd and 3rd place and an electronic Certificate as pdf file which will be sent to all participants via e-mail. Your contest score count from beginning your membership. 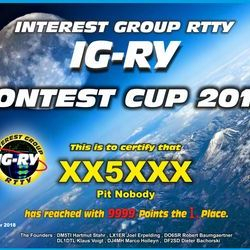 The Interest Group RTTY decided from beginning 2018 to count one Contest per month only for the Contest Cup Score, see the list below. withdrawn from the score. So at the end , there will be only eight (8) Contests scored. That means that the four worst contests with the lowest results will be deducted from the score, respectively the eight best contests will be counted for the final score. 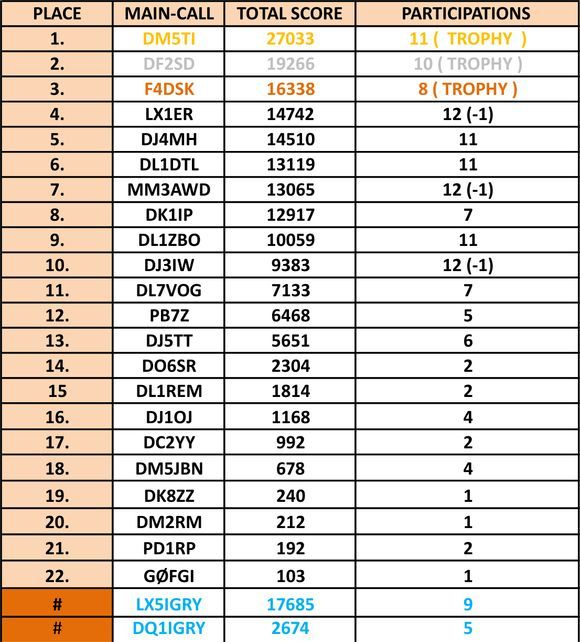 The QSOs of the four worst contests should be not lost QSOs and will be added to the Marathon Contest score. 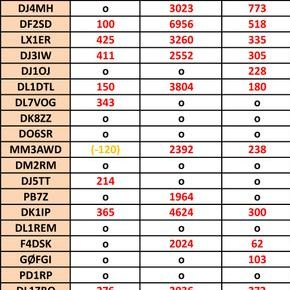 Finally we decided to give no more QSO multipliers . All the other Contests not contained in the list will not counted for the Cup score, but for the Marathon Cup score. PLEASE OPEN THE PICTURE FOR A LARGE VIEW WITH A MOUSE CLICK ! PLEASE OPEN THE PICTURE FOR A LARGE VIEW WITH ONE MOUSE-CLICK !